Another beautiful day on the salt flats. 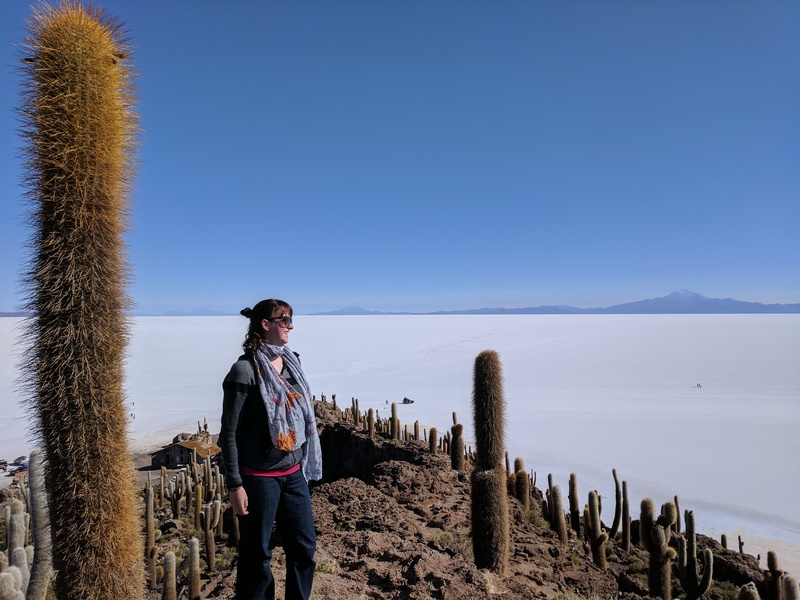 Today we got up and went to Isla Incahuasi aka (according to me anyway) cactus island! When the cactus gets “old” it goes white at the top like us going grey! However a cactus old is like 200 years…. A lot of today was spent driving with occasional stops. 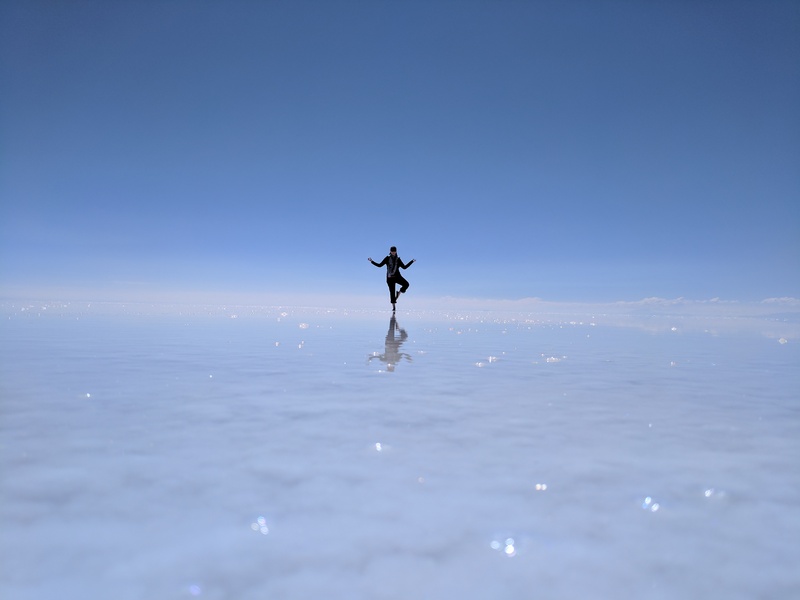 We managed to make a stop and get a good reflection picture on the salt flats. We had to get out of the car in flip flops….The water was bitterly icy but the results were pretty awesome, so I’ll take the numb, salty toes! 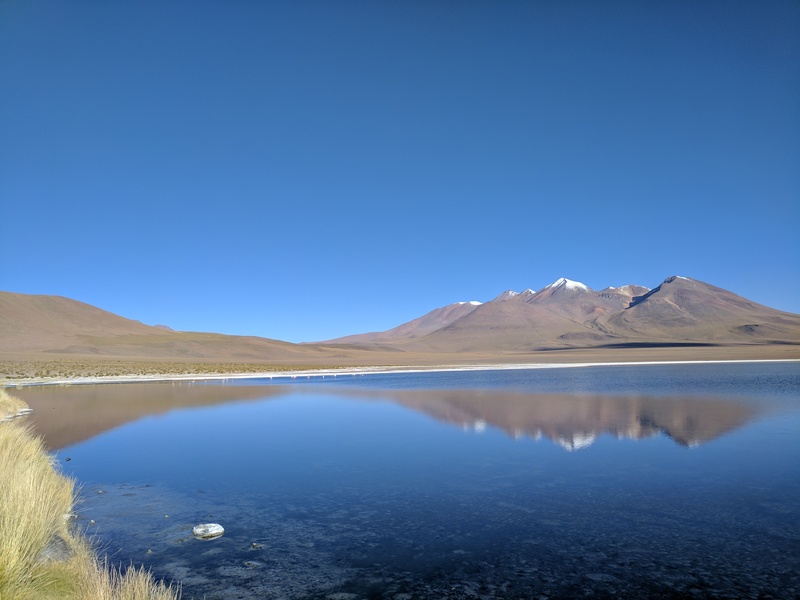 We made stops at a graveyard with mummified Inca’s, a quinoa ranch, one of the longest railway tracks in the Andes, the volcano that crosses the border between Chile and Bolivia and a beautiful lagoon with flamingo’s. So much in one day! My brain and body feel overloaded. After a filled day we headed to our hotel. 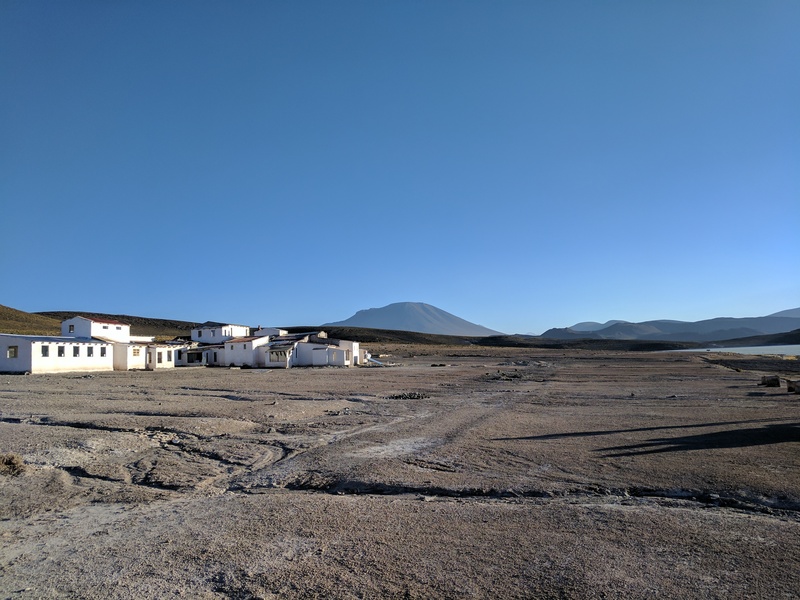 In the middle nowhere, next to a flamingo lagoon surrounded by the Andes. You couldn’t ask for more…..Except WiFi!!!! Tomorrow is going to feel like a long day….The night bus is coming!! !